Imagine a program that will transform you. A program that will redefine and clarify what it means to be not only a skilled trainer, but a business leader. A program that will give you years of knowledge and experience. Many FTI Graduates have already shown dedication in becoming one of the most skilled trainers through the Master Functional Trainer Program. Now it’s time to take your unique and powerful skill set, and mobilise it. Stop thinking like a trainer. Start thinking like a business leader. 1. Be the go-to coach with access to the most innovative and cutting edge functional training practices. 2. Learn practical and applicable strategies to help you build a thriving business. 3. Become the unique champion who stands apart as a true leader. Through this three-day workshop, you will learn how to implement and develop the values and vision that sit behind every successful business. Dan, Tarek and all of the trainers at FTI are committed to helping us become the best that we can be and show that leadership by being role models for us. Being asked to be a game changer was one of the biggest honours and after meeting everyone I found out we aren’t just a group, but an extended family. I would recommend anyone to take the leap and commit to doing this program. The growth that you and your business will have is just truly amazing. How does one describe the Game Changer experiences? It’s something can really be told but has to be lived! The weekends we spend together in Sydney can only be described as magic! The energy and passion in the room is so strong it last long after the weekend has finished and the creative juices continue to flow longer after! When returning from the weekends away I am super charged and hit the ground running. So if you aren’t ready then you will be left behind! I know this program has shaped me into a better fitness professional and coach. 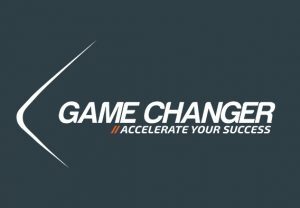 I look forward to continuing to grow and learn with the Game Changer group.